Our showroom has never looked better and our range of electric and gas fires is also at a superlative level of quality and diversity. So if you are considering a new fire for this winter (and you should be, as it is going to be another nasty one), then why not make a date to visit our Open Evening on 27th October? To find out all the details and secure your invite, RSVP to us here at HECAS either by phone, email or live chat online! Open your hearth to HECAS. We have got some bad news and some good news. The bad news is that you have missed our Open Evening! 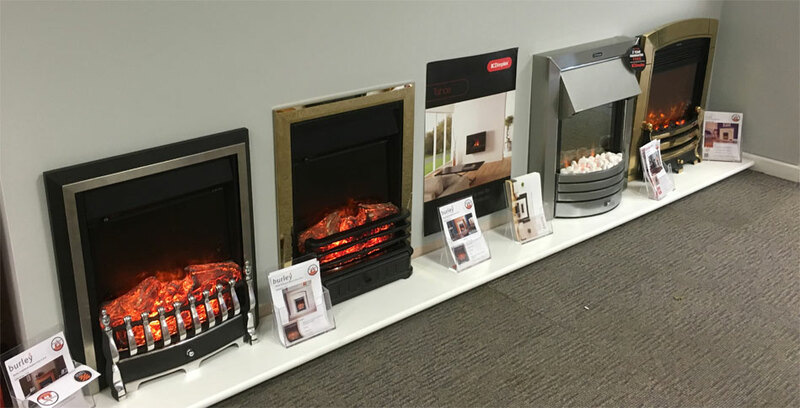 Yes, we threw open our showroom doors in a special event, welcoming the lucky ones in for drinks and snacks as we all basked in the warm, hypnotic glow of some of the very best electric and gas fires that Hecas has to offer. The good news? We had such a great time that we are having ANOTHER Open Evening, so you get a second chance! Although we all love the speed and convenience that shopping online has brought into our lives, there is still a part of us that craves more sensual experiences. This is true for some items more than others: buying a loaf of bread when shopping online is never going to equal the smells and sights of buying bread from a bakery. It is also true for our range of gas and electric fires and so our modern showroom is designed as a place where you can experience our select range directly. Purchasing a fire for your home is a big investment, in aesthetic as well as financial terms. You want to know that you are buying the perfect model that will meet all of your requirements both in form and functionality, guaranteeing you the prospect of countless snug and happy times sat in front of it. As the natural focal point of a room, the aesthetics must be carefully considered and being in our showroom is so much more informative to your decision than shopping online.